Murray Costello left South Porcupine, Ontario and attended St. Michael's College in Toronto. The lanky centre played three seasons with the junior St. Mike's Majors starting in 1950-51 before signing with the Chicago Blackhawks in 1953. In 2005, the Inductees into the Hockey Hall of Fame include two players (Cam Neely and the late Valeri Kharlamov) as well as one builder  Murray Costello. Murray Costello was born February 24, 1934 in South Porcupine, Ontario. 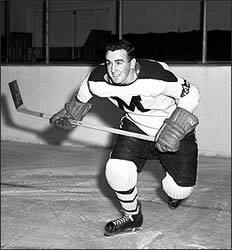 After three years of junior with St. Michael's College in Toronto, Murray was signed by the Chicago Blackhawks, making his debut during the 1953-54 season. The 6'3", 190 pound forward was traded to the Boston Bruins for Frank Martin prior to the following season. Midway through the 1955-56 campaign, the Bruins sent Costello and Lorne Ferguson to Detroit in exchange for Real Chevrefils and Jerry Toppazzini. After being sent to Edmonton of the Western Hockey League to finish the 1956-57 season, Murray was reinstated as an amateur and completed his playing career with the Windsor Bulldogs of the OHA Senior loop. During 162 regular season games, Costello collected 13 goals and 19 assists for 32 points. Costello returned to school and earned his law degree, then moved into the business side of hockey. As an executive with the Seattle Totems of the Western Hockey League, Murray guided the team to back-to-back championships in 1967 and 1968. He was publicity director of the WHL before acting as arbitrator for the World Hockey Association Players' Association. Following a four-season NHL career, Murray earned his law degree and moved into the management side of hockey. 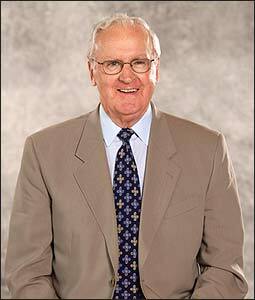 He managed the Seattle Totems to back-to-back WHL championships in 1967 and 1968. 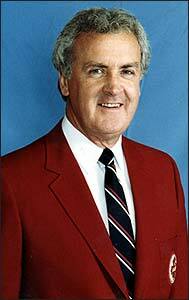 In 1979, Costello began a 19-year career as president of the Canadian Amateur Hockey Association, later Hockey Canada. Among his many accomplishments was aiding in the development of women's hockey across Canada. Perhaps his greatest accomplishment, though, was as president of the Canadian Amateur Hockey Association (now Hockey Canada) between 1979 and 1998. Among many accomplishments, Costello is especially proud of making significant contributions to the merging of Hockey Canada and the Canadian Hockey Association, which brought Canada's entire developmental process into one stream. 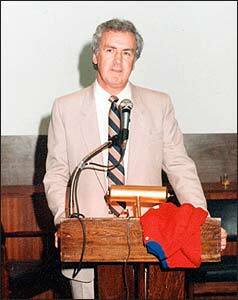 Murray also oversaw the formation of the Canadian women's team and, in turn, the rapid development of women's hockey. Now retired, Murray Costello remains a member of the International Ice Hockey Federation Council. In addition, he is also on the Board of Directors of the Hockey Hall of Fame. As president of Hockey Canada, Costello always recognized the unsung heroes who helped in the development of minor hockey in Canada. "Of course, the people that I spoke for, the volunteers of amateur hockey and the professional staff that I worked for, are the people that made this honour happen for me. I'm very, very appreciative to take a childhood passion for the game and not only turn it into a livelihood but then have it recognized in this way is difficult to understand but it is very, very much appreciated." Although entered as a Builder, Murray also got to see the game at an elite level from insider's viewpoint. "It was nice to play the game and it was nice to be among guys like Gordie Howe for the short time that I was but there is no way any of us would've dreamed it would end up like this. It was a thrill for a young guy to be able to play with those established stars. (While with the Red Wings) I lived with Red Kelly, Metro Prystai and Bill Dineen at (landlord) Ma Shaw's. That was a very special experience and one I will never forget." Now retired, Murray Costello remains a member of the International Ice Hockey Federation Council, and is chairman of both the IIHF's Medical and Technical/Arena committees. In addition, he is on the Board of Directors of the Hockey Hall of Fame. Murray Costello is the 93rd Builder honoured by the Hockey Hall of Fame.